Make your cities grow and glow in this energetic hit! You already know how to construct homes, malls and restaurants, right? Now it’s time to invest in green energy! Build solar towers, wind farms and even nuclear power plants to make your cities sustainable and prosperous for generations. Watch out for blackouts, though, as building too fast can result in a system overload. So take it slow, plan ahead and manage your energy resources carefully. Be ready to rethink your property layouts and infrastructure, or even start over from scratch. To “go green,” your neighborhoods need eco-chic shops, swimming pools, bike paths and more. Do whatever it takes to build the most energy efficient city in the world! 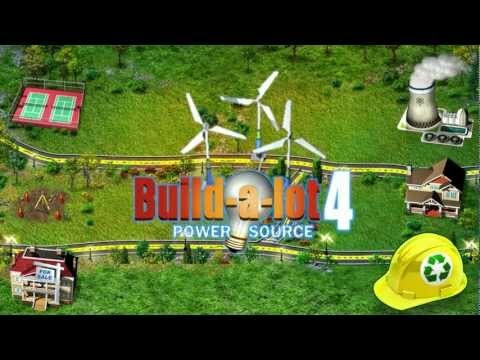 Build-a-lot 4: Power Source © 2012 - 2019 HipSoft. Android Adaptation © 2012 - 2019 G5 Entertainment AB.